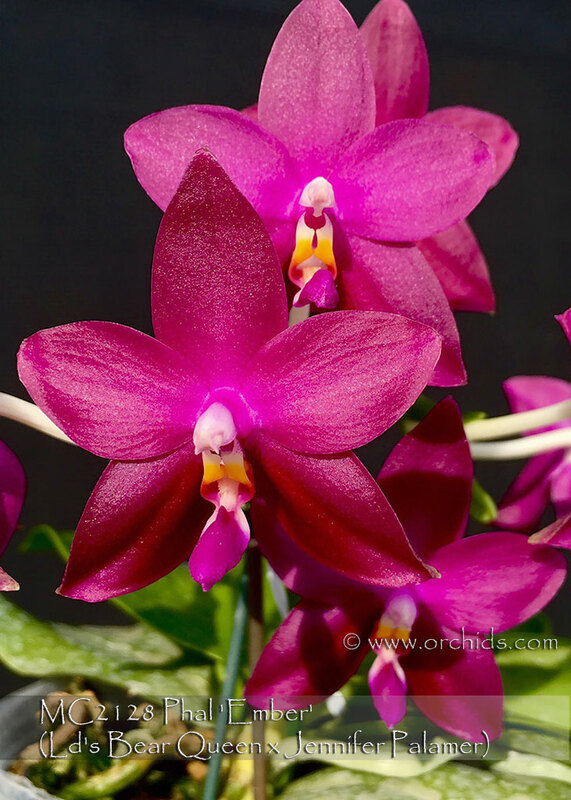 One of the newest fragrant red Phalaenopsis hybrids that’s just loaded with fragrant species in its immediate background ! Phal. 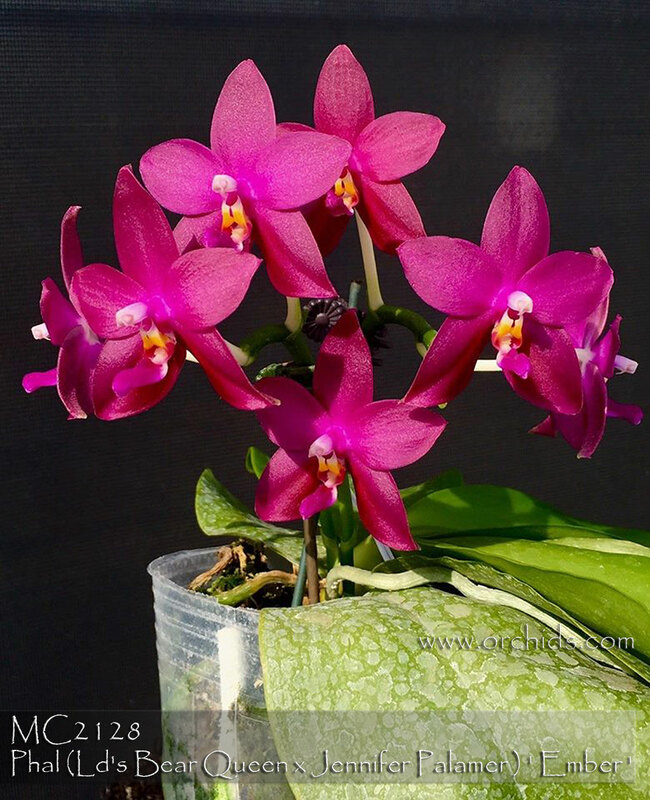 Ld’s Bear Queen combines bellina, violacea and venosa while Jennifer Palermo brings in even more violacea and adds tetraspis var. coerulea to the mix. The result is amazing fragrance from a plant that will flower while still young, easily producing multitudes of flowers on multiple inflorescences once fully mature. For one of the best from today’s cutting-edge fragrant red breeding, this is Very Highly Recommended ! Ember , Note: 1-2 spikes on compact plant, Fragrant .